In the last few weeks, we’ve been talking about the importance of pre-season sports physicals. But players are not the only ones preparing for the fall season, high-school trainers are as well. New to the training schedule this year is getting prepared for what we call mass casualty situations. SWAT teams are being brought into high schools to prepare athletic trainers for the unfortunate event of a bomber or shooter at a crowded sporting event. Today, I had the chance to talk with WAKR host Ed Esposito about this topic. Trainers need to not only be prepared for massive injuries, but also how to handle an active shooter. 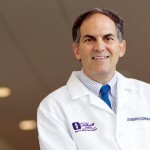 Esposito: Normally during this time we talk to Dr. Joe Congeni from Sports Medicine Center at Akron Children’s Hospital. Hey, Joe, I don’t know if you were in here earlier this morning, but Chris Keppler had a story about a doctor who was basically, correct me if I’m wrong, Chris, he was kind of advising his patients who had high school boys not to let them play football at any age whatsoever. Keppler: Yep. That’s his take, and he said helmets don’t really matter because you stick your head and neck out and bang it against somebody else. Dr. Congeni: Yeah, the debate is going on for sure. There’s no doubt about it, Ed. I mean, we’ve heard it in the last year. I think there was a special on this weekend, somebody called me. A national speaker got up and said that we really ought to have a few colleges, you know like a Stanford or Notre Dame, stand up and say, hey, we’re not going to have college football anymore because it’s just too dangerous. Esposito: Notre Dame not have college football? Excuse me for not holding my breath on that one. Dr. Congeni: Yeah, can you believe it? You know, but there may come a day. I don’t know. You’re right, and one of the things is helmets are not the answer. We’ve talked about that on the show before. Helmets are good. They prevent skull fractures and brain bleeds, but they don’t protect against concussions. We’ve got to get that clear right off the bat. So, everybody’s saying, gosh right now, we’re looking for a better helmet and looking for a better helmet. With what we’ve studied so far, [helmets] are good at getting rid of skull fractures and brain bleeds, which is really important, but they don’t reduce concussions. So, it is dangerous. There’s a lot of debate going on and my job really is to kind of educate people so that we do the best job recognizing and treating concussions. Esposito: Joe, what kind of push back are you getting from parents? I talk to more parents now than anything else. It used to be just the moms were afraid of their boys playing football, now it’s the dads, too. Dr. Congeni: Yeah, it is. And, actually, I’ve seen it kinda go the other way, where dads are even more concerned about it. Like I said, the biggest thing we can do while it’s still being debated out there — there’s no definitive answer, but there’s no question, like you said before, there’s going to be kids playing football at every level — is do a better job recognizing it and managing it when it happens. [Also], trying to do everything we can research-wise to pick things up sooner and treat it more effectively and prevent it if we can. So, that’s all of what we’re doing in the sports medicine world. Esposito: Hey, Joe, I do want to touch base with you on this. Kids now are in football practices. Thankfully, the weather is a lot cooler and stuff like that, but you are getting into prep time for fall sports. Just talk briefly, if you can, about how important it is for parents to get their kids to doctors so they can have them properly checked out before they think of the fall school season. Dr. Congeni: Yeah, this is the time of year, and we’re getting toward the end of it, to make sure you have the physical done. The sports physical is a well-done physical that’s really going to pick up things that might put your kid at risk for simple basic things like high blood pressure or hernias or issues like that, but then also the life-threatening things, like heart problems, or [problems] that might put your kid at risk for heat issues. In addition, even going over things like the medicines the kids take or supplements the kids want to take and issues like that are important during a physical. The sports physical in preparation is really important. So, yeah, we did talk about that in the last couple of weeks. We even discussed about whether young kids should have an EKG as part of that physical. But, one of the things I wanted to talk about this week, too, Ed, in the same exact vein is that medical teams right now are preparing for August 1st, too. August 1st is when the high-school kids get out there, and we’re more in the high-school setting. There’s really a new thing in training the high-school sports medicine teams. You know, when it comes to the sports medicine teams for the high school, it’s not like a bunch of doctors and EMTs (Emergency Medical Technicians). It’s an athletic trainer, in most situations. There’s a trainer out there and that trainer has to cover freshman soccer, JV football and varsity volleyball going on all at the same time at a school. Most of the time, it’s pretty routine stuff, but they train for those handful of times where there may be emergencies like heat, or heart or head. So, we have to work with the trainer to be ready for those emergencies. But, a new sign of the times this year is many of our trainers are getting training in what’s called mass casualty training. You know, Ed, in light of the Boston Marathon and what went on there and the worries that it could happen in our high schools, [we need to prepare]. Like for instance, we deal with hypothetical situations. They talked about, hey, what would happen if a bomb went off at the homecoming high-school football game, or a shooter goes on a rampage during a rivalry basketball game with a full gym? I mean, those things could happen. Esposito: Or, even if it’s not something malicious, even if you just have the stands collapse. Dr. Congeni: Exactly. So, the trainers are being trained in what they should do in three areas related to that. They brought SWAT (Special Weapons and Tactics) teams in to get them ready. What would happen if you have many people injured at one time? Will the trainers be able to respond to that? No. 2 is how do you get into the mind of an active shooter? How do these SWAT teams train people so that the sports medicine team, the high-school team, would be ready if they had this situation of an active shooter? And the third part that nobody in the sports medicine circles of high school are ready for: What would happen with a bombing injury? What makes that different than a lot of the other injuries we deal with? So, just one more piece of the puzzle for the high-school sports medicine teams this year is to be ready for mass casualty situations, which unfortunately, are a sign of our times. Esposito: Well, I’ve got to wrap it up and I hate doing it on that note, Joe, ‘cause it just makes me so sad that it’s gotten to that point. Dr. Congeni: Well, to wrap it up on a positive side, you know, Ed, you’re out there and Ray and I are out there, there is so many positive things to come from sports and kids learn so many life lessons from sports. There are still a lot of real positive things in high-school sports, but we have to be prepared for those emergencies that do come up occasionally. Esposito: That’s the old Boy Scouts/Girl Scouts rule: Be prepared for it. 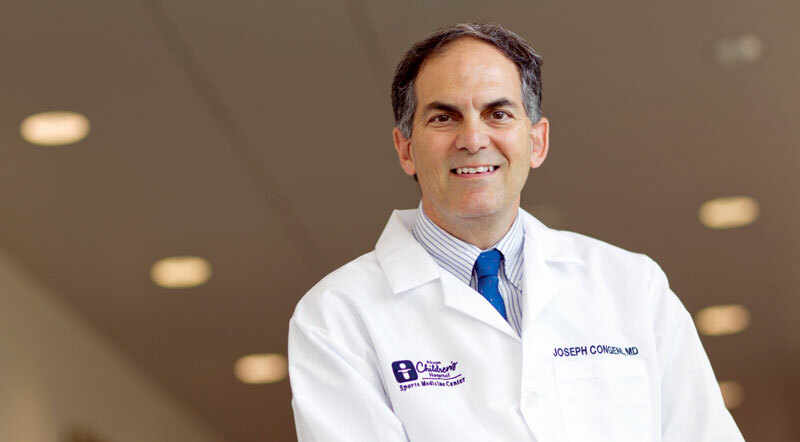 Dr. Joe Congeni from the Sports Medicine Center at Akron Children’s Hospital. Joe, always a pleasure talking to you. Dr. Congeni: Thanks, Ed. Have a great week. Esposito: You betcha. Thanks for the update, too, on the sports teams. I think that’s very interesting, just kind of another layer of making sure those folks are prepared if something bad happens and your son or daughter might be in the field of fire.